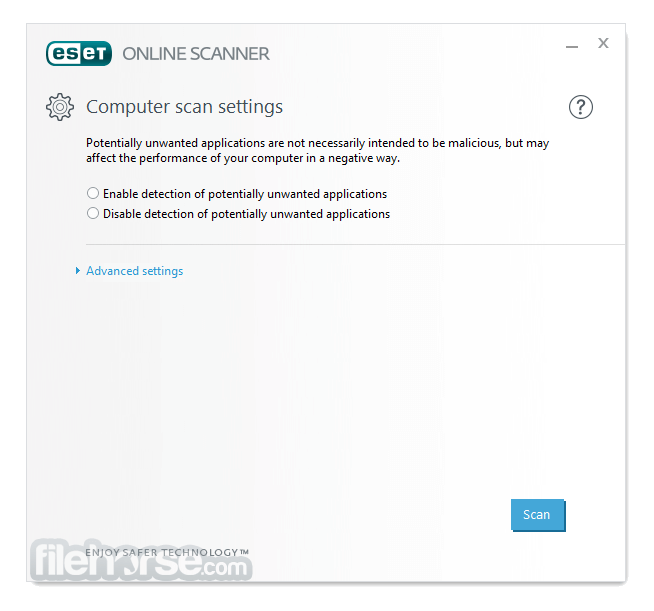 Perform a one-time scan on your Windows PC! 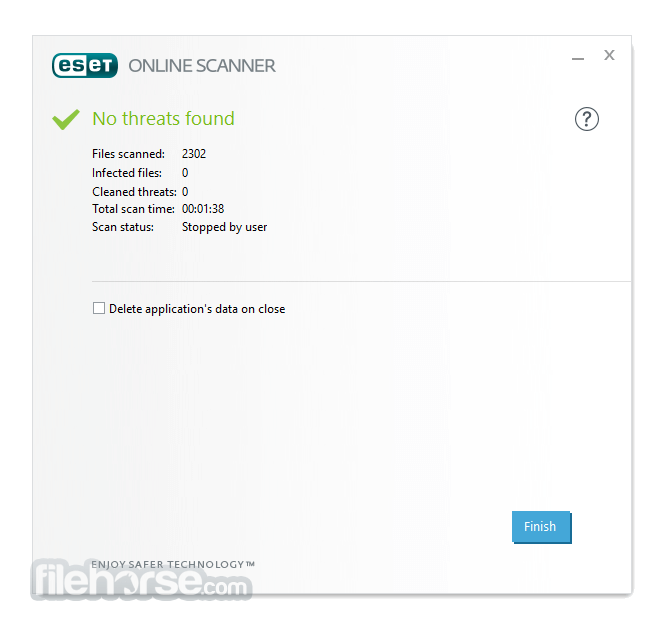 Scan your Windows computer for malware for free with the ESET Online Scanner! Free online virus scanner checks for any type of virus and helps you remove it. Remove any virus without installing an antivirus software! Note: One-time scan and remove.